Same Day CEREC Crowns, Done In 1 Visit. At South Bay Center for Aesthetic Dentistry, we strive to help people keep their natural teeth healthy and intact for as long as we can. But, when teeth become so severely damaged that regular fillings are no longer an option, we often turn to dental crowns. Crowns enable us to seal up a damaged or decayed tooth, protecting the nerves and restoring the surface of the tooth to its useful condition. Dr. Mileham is an expert in placing crowns and can now prepare high-quality ceramic and porcelain crowns while you wait, using advanced CEREC imaging and milling. If you have a problem tooth, contact our office and see if your teeth can be saved by porcelain crowns in Rancho Palos Verdes. Porcelain crowns can be used to restore and to protect teeth. You don’t necessarily want to wait until your tooth actually cracks or breaks in order to get a crown. You can opt to get crowns proactively in order to protect weak teeth from damage due to stress or tooth decay. Crowns are also used to fill cavities when there is not enough healthy tooth material left to support a traditional filling or when a cavity is extremely large. Of course, crowns are also perfect for correcting severely worn, damaged or a broken teeth. If you’re suffering from any kind of tooth pain, don’t hesitate to visit our office and have Dr. Mileham’s expert opinion regarding potential treatment using ceramic or porcelain crowns. Crowns can be a long-lasting and effective solution for damaged teeth but only if you get your ceramic or porcelain crowns created and installed by an expert Rancho Palos Verdes dentist. 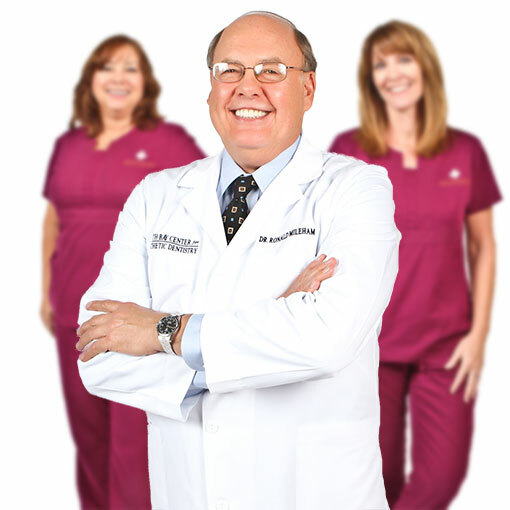 Dr. Mileham makes an excellent choice for your crown provider because he has the technology and the experience required to provide superior services. For instance we use digital x-rays to get a detailed view of your tooth to make sure the roots are healthy and when necessary, perform a root canal to clear out any damaged or infected material. Then, our 3D imaging technology and CEREC software create a custom crown that will fit your mouth perfectly the first time. Your new ceramic or porcelain crown will be milled while you wait and placed on the very same visit eliminating the need for a return visit. After your ceramic or porcelain crowns have been permanently bonded to your teeth by our qualified dentist in Rancho Palos Verdes, they are nearly as easy to care for as your natural teeth. You can brush and floss as normal but you should pay special attention to the edge of the crown, where the ceramic or porcelain meets your natural tooth enamel, especially if you have an “On-lay” or partial crown. Adding an antibacterial mouthwash to your oral care routine may also be a good idea. Keep in mind that Dr. Mileham strongly recommends that you avoid biting down on hard surfaces like that of ice cubes or hard candy which may chip or dislodge your ceramic or porcelain crown. If you ever have a problem with your porcelain crown, call us immediately. While crowns are most commonly used to treat dental problems in adults, they can also prove beneficial for kids in certain circumstances. If your child has especially brittle teeth, or has trouble brushing or flossing due to a developmental or physical difficulty, porcelain crowns can help shield teeth from decay and possible infection. Crowns may also have the added benefit of reducing the need for procedures like root canals or tooth extractions which we try to avoid doing for children if at all possible. If you have questions about crowns for your kids, just give us a call!